March 17- 18, 2018 in the newly remodeled Sport Center! 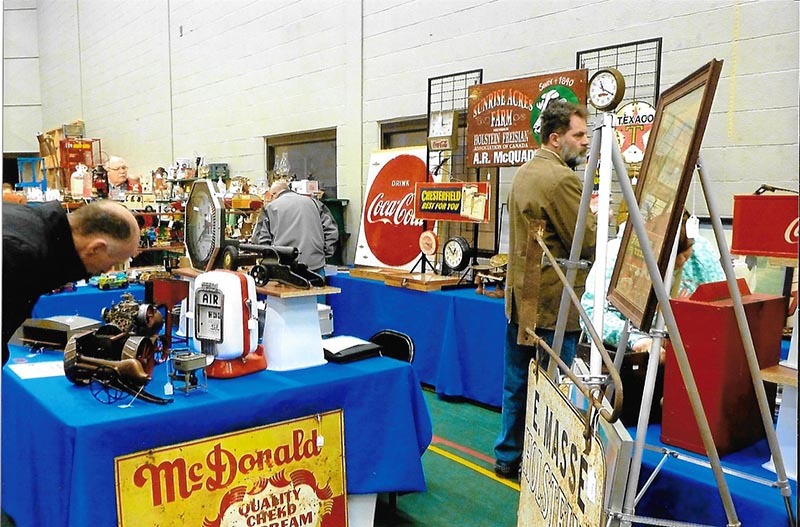 Stepping back in time is a good experince for many, since 1993 this show has been one of the largest indoor antique shows in Wisconsin. 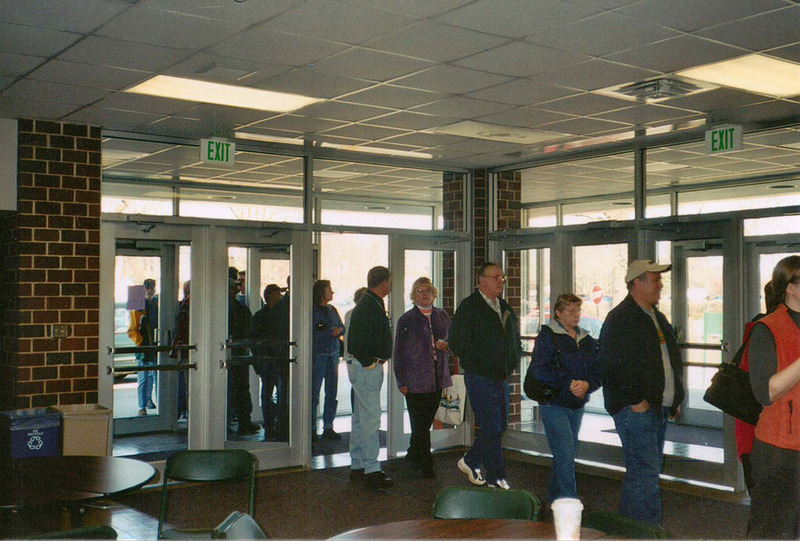 This large show is held on the St. Norbert College's quiant campus in the Schuldes Sports Center, 601 3rd st. De Pere (a suburb 5 miles south of Green Bay). The show features 65 select dealers from the midwest, bringing thier finest inventory for the many eager collectors and interior designers that have supported this diversified show. This show is one of the largest indoor shows in Wisconsin. 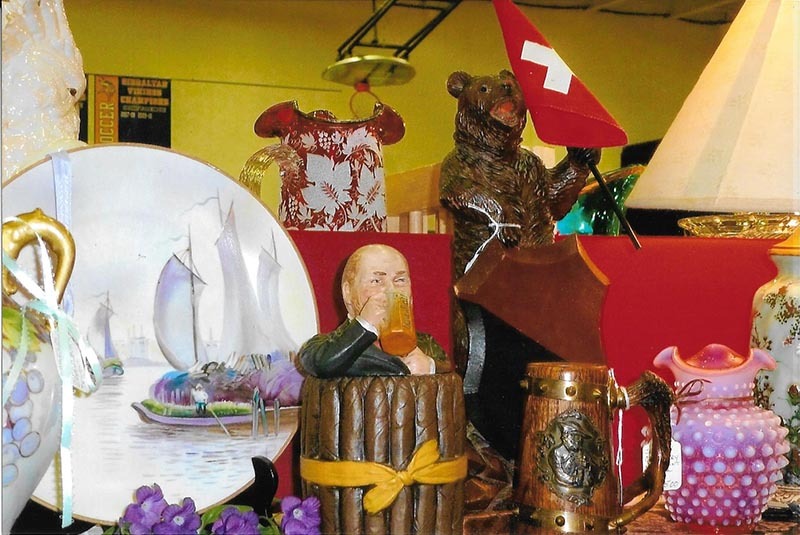 This year's show offers up history and yesteryear's charm for all collectors, young and old. 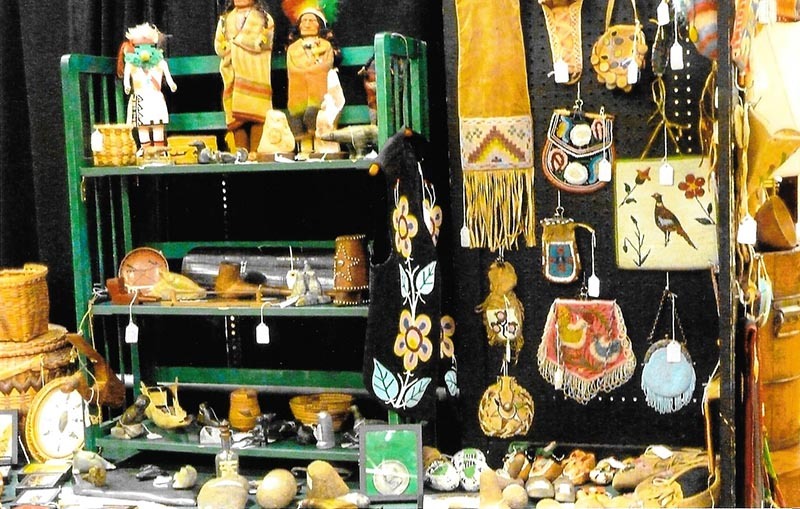 Collectors will be finding 1800's though the mid-20th century quality stoneware, pottery, sports and advertising items, coins, china and glassware, folk and Native American art, toys, primitives, cast iron, and much, much more! Mary Lou's expert crystal and china repair booth is always willing to "fix your chip" while you wait. 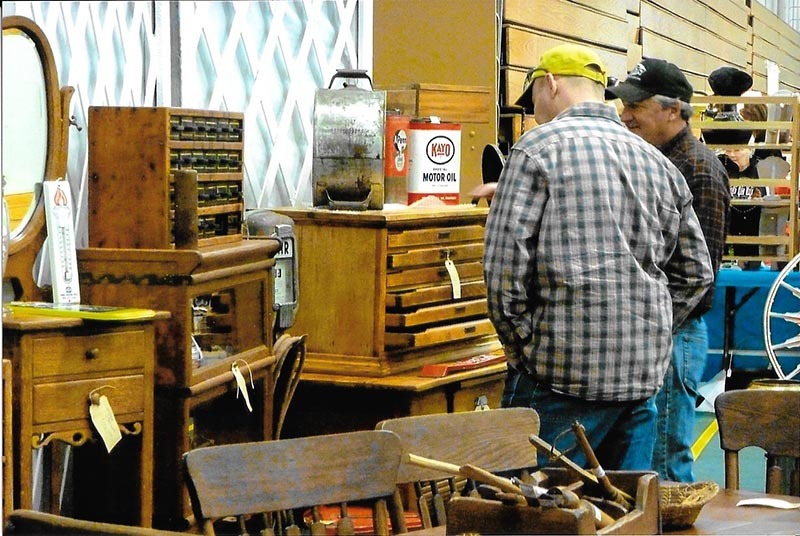 Audio Antiques, Robin and Joan Rolf, will have a booth with phonographs and related items; they also repair phonographs. They wrote two books, "Nipper Collectables" and "Phonograph Dolls & Toys", sold nationally, and will have some copies on hand at the event. Every year, a $50 gift certificate is given away to a lucky winner. Take a break from browsing and enjoy a delicious lunch -- a fund raiser for the St. Norbert College's Women's basketball team. They will have great hot, homemade, turkey and beef BBQ sandwhiches and more! Admission is $4.50 for 16 and over (free, if under) and is good for both days. You will meet old and new acquaintances to discuss the fun of "look what I found"! Come search, discover, and have fun, you will not be disappointed. Saturday 9am to 5pm, and Sunday 10am to 4pm. The city of De Pere is just off highway 41 (Greenbay). Take exit 163 and go East one mile to 3rd St. Turn right to St. Norbert College's Sport Center. Call 715-355-5144 for more information. © 2017 Audre and Ray Hanson, all rights reserved.